*ask about our 8 hour special! Enjoy our food & drink specials! Or enjoying our homemade goodies & fresh coffee! 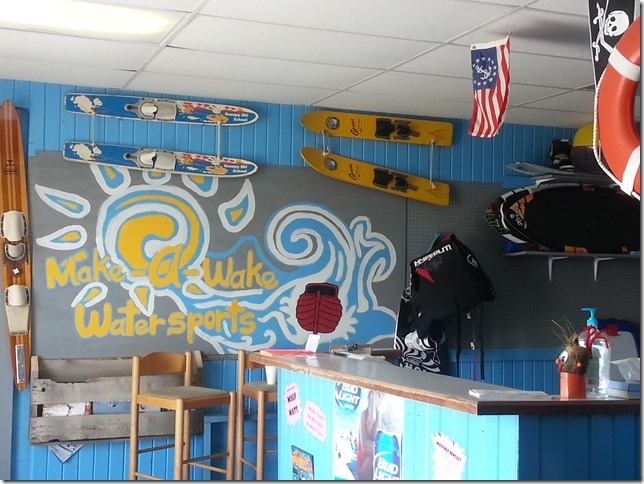 We have a Watersport Shop on property with rentals of Jet skis, Speed Boats, Pontoons, Paddle Boats, Kayaks, and many accessories. Rentals are hourly (1-50 hours). 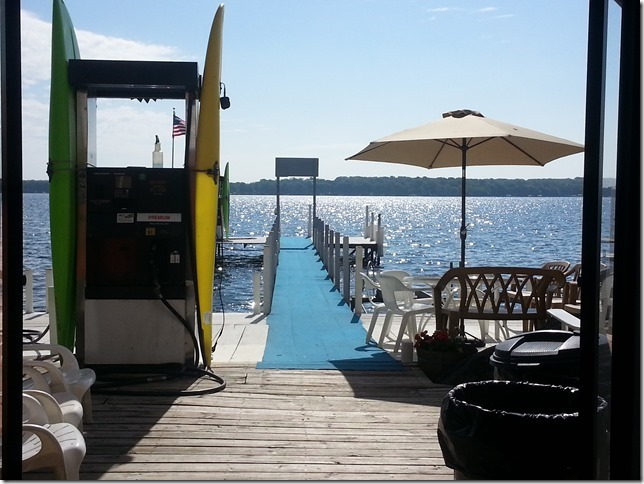 Ask about our 8+ hour Boat/Jet Ski Package and our 4 Hour Kayak/Paddle Boat Package!! Deposit is required on all rentals. 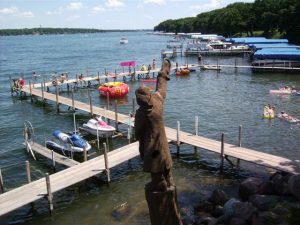 You may contact MAKE A WAKE WATERSPORTS at 712-337-3223 ext 238 or email makeawakewatersports@yahoo.com for prices and availability. LIKE US ON FACEBOOK! 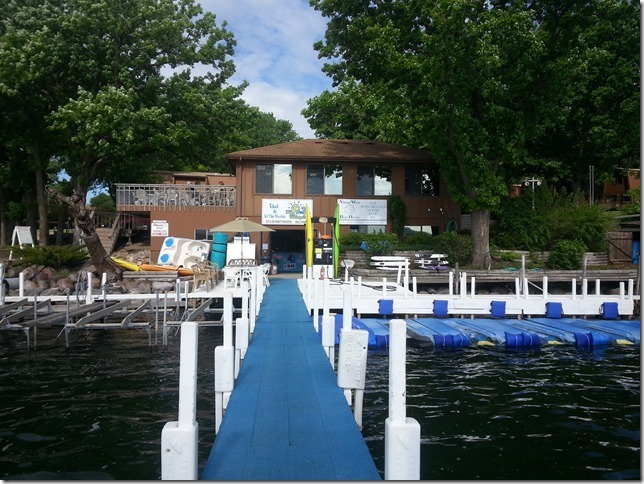 Our Boathouse is located on property and has daily and weekly rentals for boat hoists. We also have 24 hour gas and many convenience items. 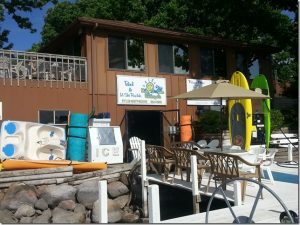 You may contact the Village West Boathouse at 712-337-3223 ext 239 or email makeawakewatersports@yahoo.com for prices and availability. The Boat House Bakery is open in the summer season only from 8am to 2pm daily. They serve breakfast and lunch, and the cinnamon rolls are a treat! Wraps and Sandwiches are available for lunch and they serve specials daily. Please call 712-337-3223 ext 331 for your menu options. 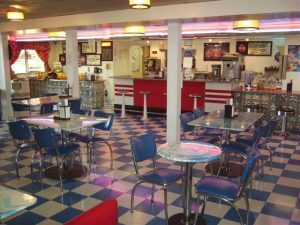 Betsy's Diner is open in the off-season from 10am to 1:30pm Tuesday-Thursday and 10am to 1:30pm Friday and Saturday. Their menu consists of burgers, specialty sandwiches, and appetizers. Specials are served daily. Carry-out is also available. Please call 712-337-3223 ext 444 for your menu options. 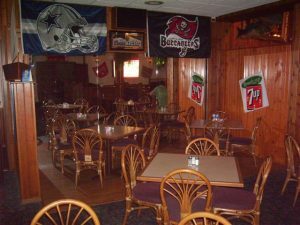 Main Event Bar and Eatery is open year round on Friday and Saturday evenings from 5:00pm to close. There menu consists of delicious entrees including prime rib, shrimp, steaks, and much more. Nightly specials are served at the lounge and restaurant. We are open Year Round with new merchandise for the seasons. The hours vary from summer to off-season. Summer season is open 7 days a week and winter hours are weekends only. 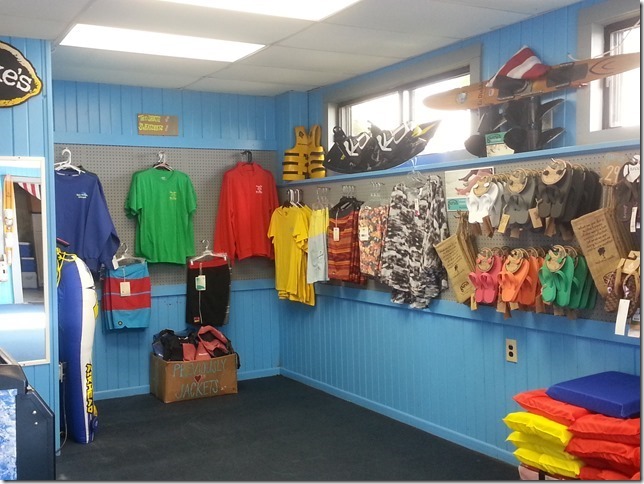 The kids shop is filled with a large selection of swim toys, swimsuits, and sandals. Our Fashion shop is famous for quality sportswear, swimwear, shoes and accessories for gals and guys. 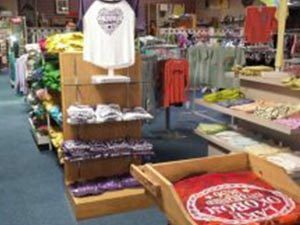 Of course, you will find the latest in OKOBOJI tees, sweats, jackets, and shirts. The gift shop is packed with great items for home decorating. If you are looking for a gift, Stone's Throw has the biggest and best selection in the lakes region. 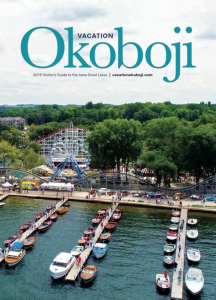 You will find everything including Okoboji souvenirs to nautical decorations. Please contact 712-337-3223 ext 297. Village West Resort has a Resort Activity Guide for your stay. This guide will also be located inside of your check-in packet. The link is also on the home page of website. 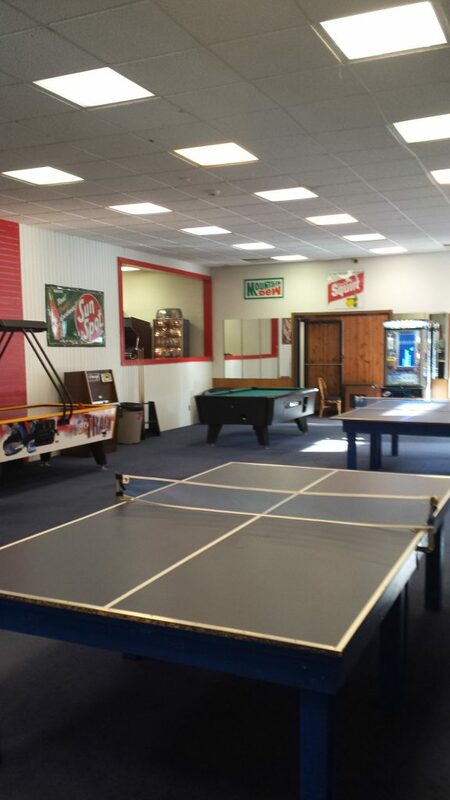 Our Recreation Department offers something for everyone. Our Seasonal Activity Calendar has activities ranging from indoor/outdoor miniature golf, movie theatre, game room, exercise room, library, equipment rentals for all seasons, organized activities, video rentals, indoor/outdoor pool, Village West Marina and more! 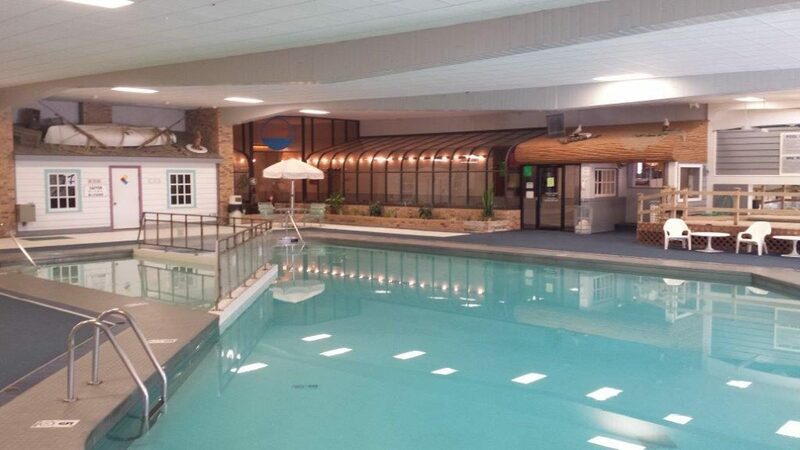 In addition, Village West Resort is just minutes away from several outstanding attractions including: Arnolds Park Amusement Park - home of the Legend Roller Coaster, 9 Golf Courses including the nearby Okoboji View course. Remember, there is no such thing as an "off-season" at Village West Resort and Hotel. Relax and Enjoy it all! !